These moist spiced applesauce cupcakes (or muffins) are grain-free, gluten-free, dairy-free and have the most amazing maple almond butter frosting! Before pumpkin mania takes over, I have one more apple recipe to share! I attempted some grain-free apple bars which didn’t want to work and after that drama, I just wanted something easy. So I took this apple butter cake I made last year in 6-cup bundt pan, which most people don’t seem to own, and because I know people are going to make it with applesauce instead of apple butter, I thought I’d better see if that actually works. I increased the almond flour just a little to make up for the extra moisture in the applesauce and added extra spice to make up for the loss in the apple butter. 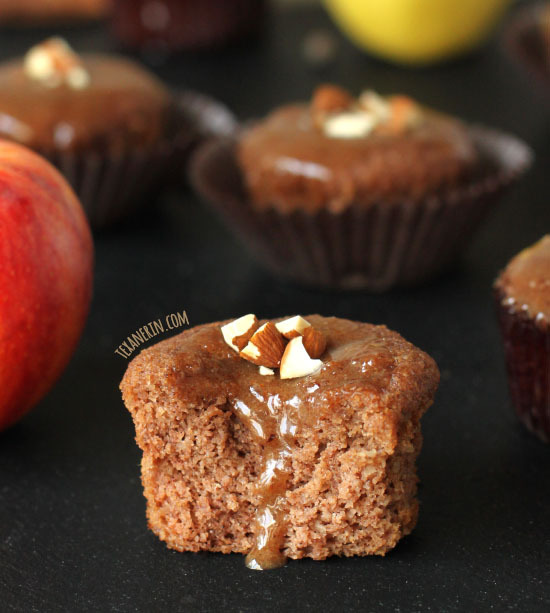 These applesauce cupcakes could just as well be called muffins. Is there really a difference in texture between grain-free cupcakes and muffins made with almond flour and coconut flours? I’ve never noticed any, though it could just be the recipes I’ve tried. I topped them off with this maple cinnamon almond butter glaze frosting kind of thing which I’m putting on everything nowadays. It’s heavenly. Just don’t be like me and not let it chill enough before topping your cupcakes. If you let it firm up in the refrigerator like you’re supposed to, it won’t run that much. And the cupcakes and the frosting are both completely maple syrup sweetened and aren’t that sweet at all. Preheat your oven to 350°F (175°C). Line a muffin tin with 12 muffin liners. Mix together the dry ingredients (coconut flour through salt) in a medium bowl. Mix together the wet ingredients (eggs through vanilla) in a large bowl. Add the dry mixture to the wet one and stir until combined. Divide the batter among the liners and bake for 15-18 minutes or until a toothpick inserted in the middle of a cupcake comes out clean. Let the cupcakes cool for 5 minutes in the pan and then invert onto a wire rack to cool completely. These don't have the best texture straight from the oven. I recommend giving them at least 8 hours before eating. To prepare the frosting, in a small bowl, stir all the frosting ingredients together, and place in the refrigerator to firm up, about 1-1 1/2 hours. I recommend removing the liners so that you don't lose any frosting to the liner should it run down the sides. Place 1 1/2 teaspoons of frosting on top of each cupcake. It will slowly spread across the cucpakes, so don't spread it all the way to the edge. Place the cupcakes in a container or on a clean surface in case the frosting runs. I used refined coconut oil, which has no coconut taste. If you use unrefined coconut oil, there may be some coconut flavor. 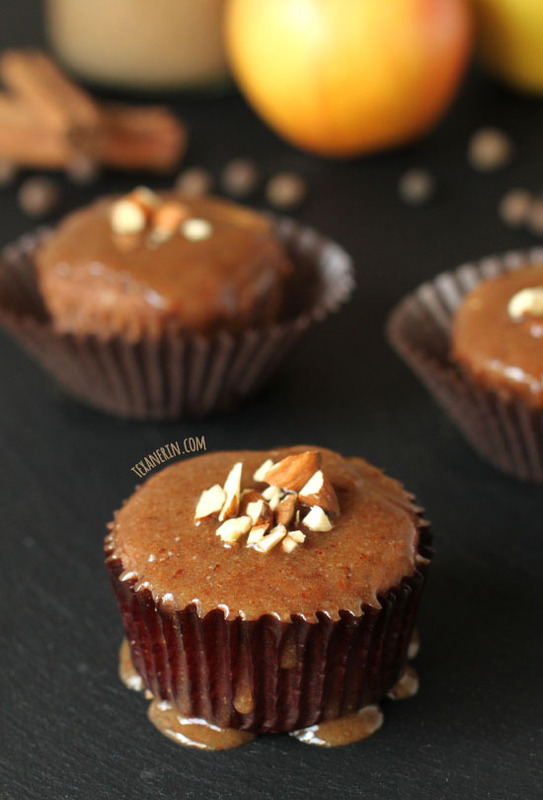 30 comments on “Spiced Applesauce Cupcakes (paleo, grain-free, gluten-free, dairy-free)” — Add one! These taste absolutely amazing! And I am not a huge fan of coconut, but I used cream cheese frosting on top, and it made the coconut taste go way down, and just gave it a really nice extra touch! Oh yum! Cream cheese frosting is my very favorite. :) I’m happy you enjoyed the cupcakes! Thanks for your feedback. Anytime! I’m making them again right now! And thank you for all the amazing recipes you share! 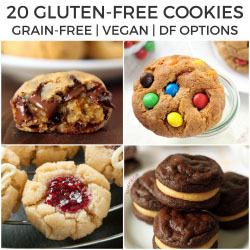 It is hard to keep a gluten and dairy free diet with all the amazing sweets every ware… but you make it so much easier! And I am actually making the food instead of just going out and buying something quick and easy. I’m happy to hear that you’re enjoying the GF / DF recipes. :) And that’s awesome that the recipes make things easier for you. Yay! Thanks for your nice comment. Thank you for this recipe! I have already made these muffins twice and they will become a common snack for me to have on hand when I am craving something baked and sweet. Hi Erin! I made these last week for one of my friends turning 97 and they were a big hit. Just put another batch in oven tonight to share tomorrow with friends. I did use apple butter both times and left out the additional almond flour–also added some chopped apple this time. Thank you so much for the wonderful recipe! These sounds awesome. I will definitely be trying them at some point. Congratulations on submitting the manuscript!!! Yay! 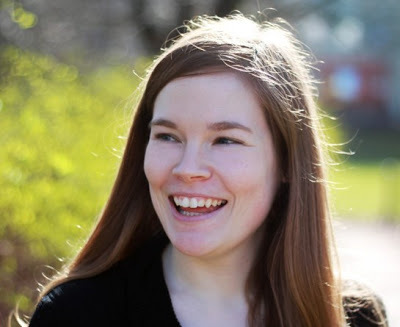 Welcome back, Erin! Great recipe. Nom nom nom. I can’t wait to get a copy of your book – I am so excited for you!! Always looking for healthy recipes for my family. Easy to make and everyone loved them. This one is a definitely a keeper! CONGRATULATIONS!!!! I know it has been a labor of love but a stressful time I am sure. How exciting when you see the finished product and hold it in your hand. Thank you for allowing me to be a recipe tester. I had fun and the family enjoyed the benefits. Thanks for your kind message, as always! It was difficult but I’m sure it’ll be super exciting when I get to hold the book in my hand. :) Thanks again for all your help! These look perfect and congrats on turning in your manuscript! That is such a big deal!! I am drooling over this! congrats on the manuscript! Love the abundance of flavors in these! And that frosting. Yum!! This sounds amazing. Can you make this in a bread pan or bunt pan. If so what would the temp be and cook time. I can’t wait to make this. The cream cheese icing sounds great also. How would you make this. I also wanted to tell you. I have made your chocolate chip cookies so many times and my neighbors are crazy for them. Thank for all the great recipes. Hi! I haven’t tried in a bread pan (and am doubtful that it’d work) but check out the paragraph after the first picture concerning a bundt pan. I’m not sure which cream cheese frosting you’re referring to but I have a recipe here for that – healthier cream cheese frosting. :) Hope you’ll enjoy the cake!